The Hudson Valley Seed Library is a homestead-based farm and business devoted to developing a seed production network in our region. Using hand tools and low-tech processes, we cultivate dozens of varieties of agronomic plants on our own farm. We also collaborate with certified organic, certified naturally grown, and other small growers throughout our region to grow dozens of additional varieties. Our goal is to offer high-quality heirloom seeds to the public through both our Seed Library program and retail sale. This year we are offering over 25 varieties of locally grown seed. 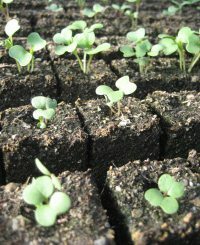 By 2010, we aim to offer 100% locally grown seed. We invite you to join us in this effort by growing our seeds in your own home garden. Thank you for your patience with us as we trialed and errored our way through creating a new website and online store for you. The new website is ready. It’s time to order your seeds. The most important parts of the website are working, but you might find some dead ends or bugs. We will continue adding content and doing organic pest control until everything is smoothed out. How to use the new website? Right now you can browse the catalog, buy a membership, and order seeds. If you already have a membership pack and login code, you can login, choose, and order your 10 Garden Packs. If you have a 2009 membership but no code, you will be receiving a separate email with your login code. This is also the beginning of this year’s emails. Mostly you will hear from us when there is something new– workshops, events, varieties, and the like. Another way to keep up with our seedy happenings is on Facebook.com. If you have an account, join our Facebook group. That is the main place we will be fielding garden and seed saving questions as well. That way, we can all share our experiences and help each other out. Art Packs! Choose from our unique Art Packs created by Treeo Design. Each pack features original art work by a different New York artist. The rest of the seeds in our catalog come in what we call Garden Packs– simple plain white packs. There are over 35 varieties of vegetables, flowers, and herbs to choose from. No matter which packaging you go for, you are supporting the continued growth of local seeds and food in the Hudson Valley.